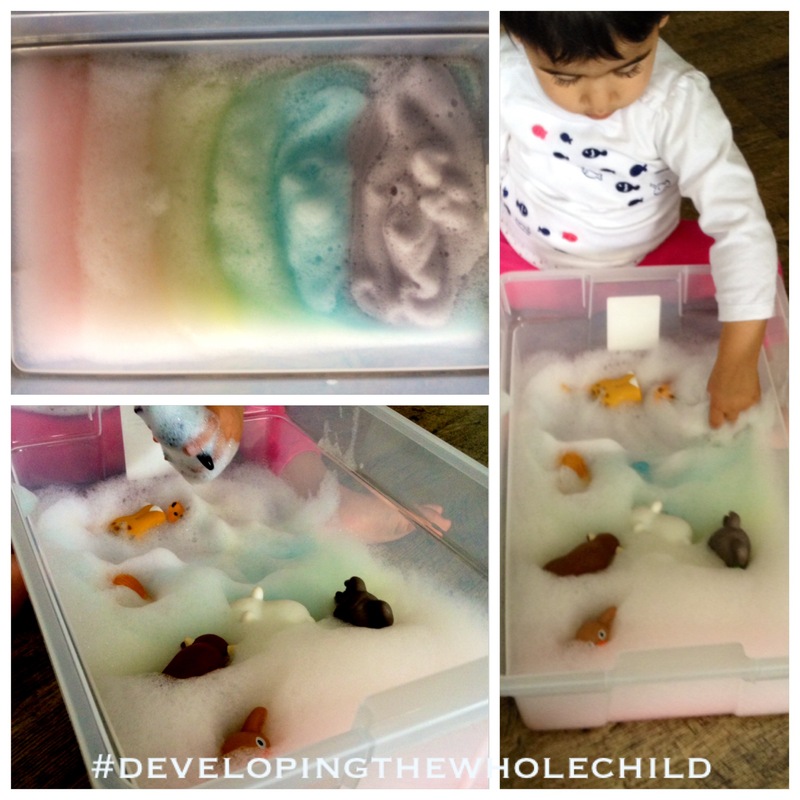 We made a rainbow foam bath for R’s Little People Zoo animals. I made the foam by blending up two parts of dish soap and one part water. I added a couple of drops of food colouring to the soapy water before using an electric blender on high to make it into foam. The longer you blend it, the foamier it becomes. R had lots of fun swirling the foam around and washing her animals in it. a. Practice colours. Have the child practice pointing to and naming each colour of the rainbow. Then have him/her place similarly coloured animals into the appropriately coloured foam stripe. b. Play imaginatively. Ask the child the following open-ended question: How do animals get clean? Allow the child to set up a cleaning station for the animals with whatever materials s/he deems suitable.